So here is the first find. 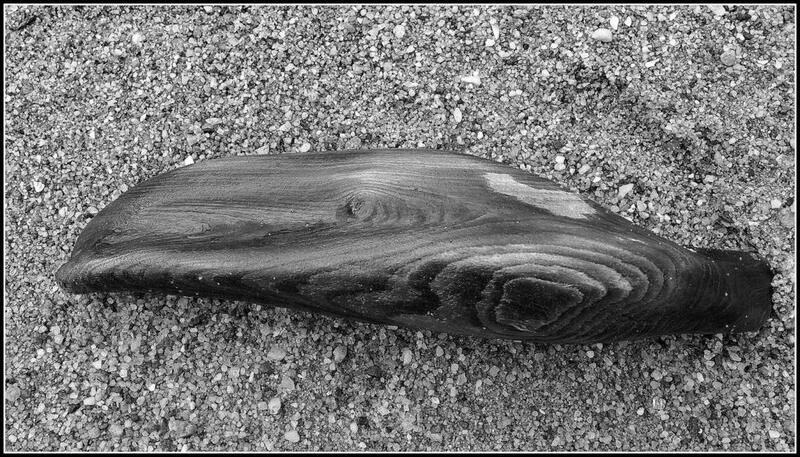 This piece of drift wood spoke to me as soon as I saw it. At first it reminded me of a playtpus (looking at the left-hand side), but looking at the photograph I can also see a dolphin (right-hand side). It’s not very big – less than a foot long, perfect addition to the flower garden. It was a lovely beach not far from Belmullet, on the NW coast of County Mayo. The beach was covered in shells, so the kids and I had great fun collecting cockle shells, razors, clam shells, limpets, and the odd queen scallop shell. This entry was posted in Nature and tagged beach, Belmullet, County Mayo, driftwood, Ireland, shells on February 28, 2016 by Murtagh's Meadow. 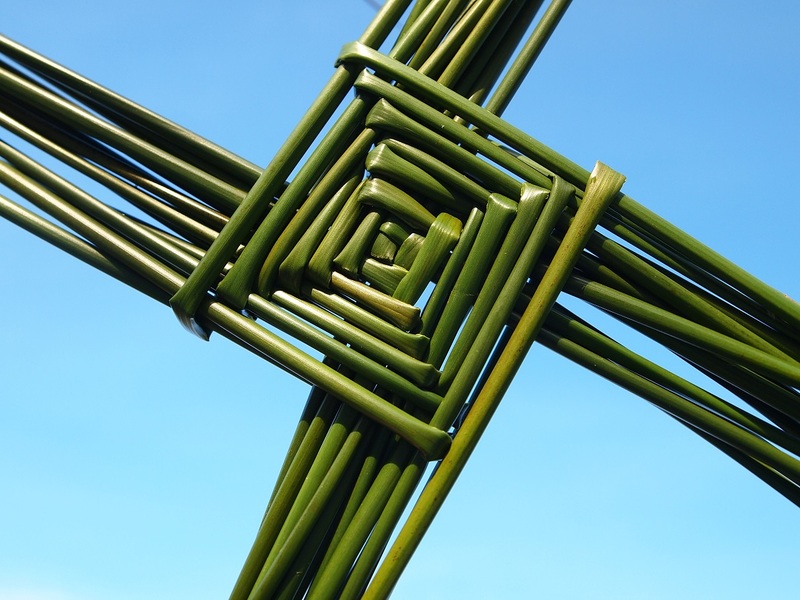 It may be cold outside but there is a definite feeling of spring in the air. 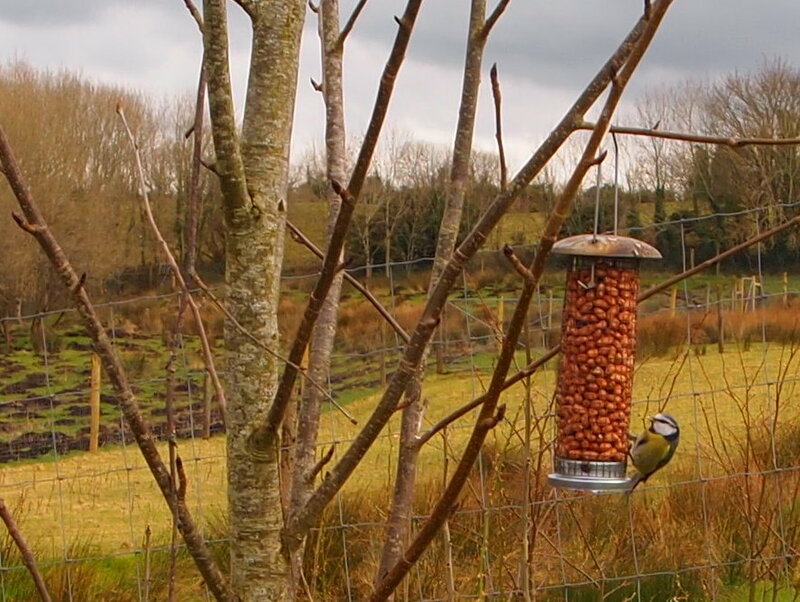 The birds are singing and chasing each other around the garden, and stocking up on peanuts. The flowers seem to be coming in small flurries but I love the bright daffodils. So far only the dwarf ones are open but the others are not far off. 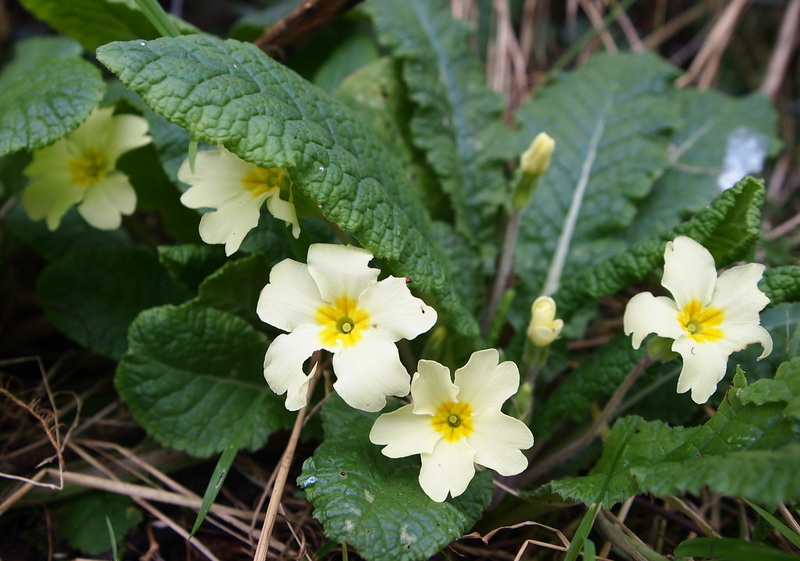 And the primrose are flowering in the bank by the hedgerow. They are one of my favorite wildflowers. And for the early pollinators food is becoming available, so I am sure if it warms up a couple of degrees we will start to see a few early hoverflies and bumblebees. Willow is an excellent early pollen provider. This is a cultivated willow, always one of the earliest to have catkins and pollen in my garden. The wild willows are usually a couple of weeks behind it. This entry was posted in Nature and tagged Daffodils, garden, primroses, Spring, wild pollinators, wildflower on February 25, 2016 by Murtagh's Meadow. Thanks for Lori and Robbie for hosting The Day of the Bean, a blogger action day to celebrate International Year of the Pulses. As a gardener I love beans; as a cook and consumer I love beans. Beans are versatile, come in a range of varieties, and you can add them to nearly any dish. Our first bean crop every year are broad beans. Usually I forget to plant them in November and start them off in February. However, in November 2015 I actually remembered and so my beans are currently about 30cm high and begging to be planted out into the polytunnel from the pots I started them off in! Usually we can harvest in early July but this year, with my head start, (and depending on the weather) we may have some by late May! The other beans I grow are dwarft purple beans. Usually these crop well inside and out but last year they did not respond well to our cool wet summer and so I had to rely on the greenhouse crops. They look great, though fade to dark green on cooking. Runner beans can crop really well but again in summer 2015 they really suffered, but the previous year we had a bumper crop. Generally though you can’t fail with runner beans and this year I will make sure to have some in the tunnel or greenhouse as well as outside. Finally, I also grow climbing french beans. Again they do better in a warm summer and so last year they did poorly outside (not helped by slugs!). I did manage to get a late crop from some later plantings in the greenhouse. Of course the other huge benefit of growing beans is that they fix nitrogen, and so are essential for a good crop rotation in any vegetable garden. So even if you don’t get a good crop you still get nitrogen! And finally if you only need one reason to grow beans then think bees. Because bees love bean flowers! This entry was posted in Garden and tagged beans, bees, broad bean, french bean, International Year of Pulses, nitrogen fixing, runner bean, Year of the Bean on February 17, 2016 by Murtagh's Meadow. 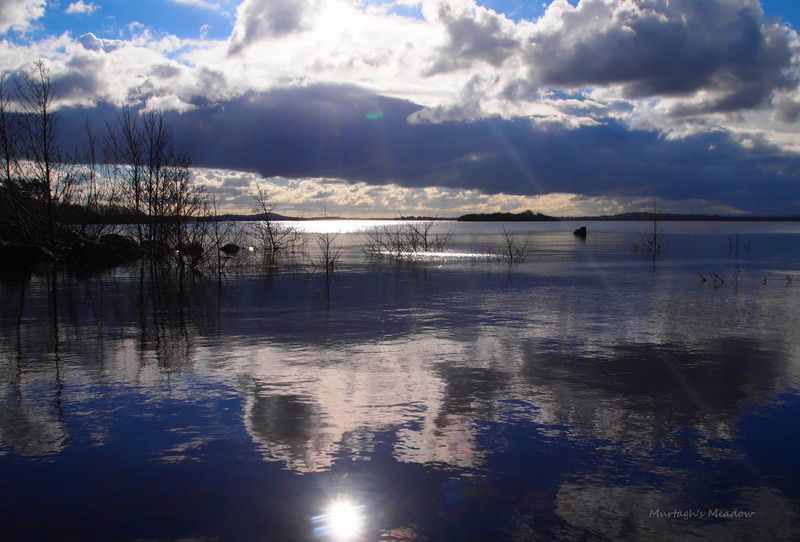 This entry was posted in Mayo Walks and tagged County Mayo, Ireland, Lough Conn, nature on February 14, 2016 by Murtagh's Meadow. I just wanted to update you on some issues regarding neonicotinoids. Last week I posted a blog about concerns that neonics are having devastating effects on bee populations. I decided to email some companies here in Ireland and the UK that supply seeds (both flowers and vegetables) to see whether any of their products contained neonics. A number of companies have not responded. However I did have some positive replies from others. Unwin Seeds (in Ireland Woodies sell Unwin seeds ) were quick to respond that they do not use, nor have ever used neonicotinoid insecticides as a seed treatment in any of their seed ranges. 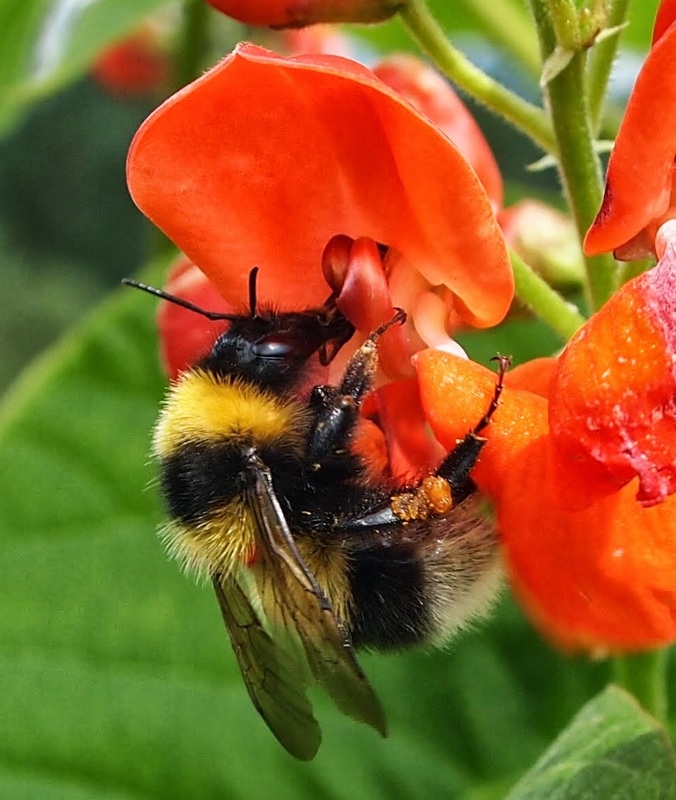 Thompson and Morgan also confirmed that they did not use any neonicotinoids on their seeds. However the person who replied did think that most insecticides containing neonicotinoid are now banned within the EU, which isn’t true as only three of the neonics chemical are only temporarily banned here. Lidl are confirmed that their seeds were not treated. De Ree UK also confirmed that their seeds were never coated with neonicotinoid chemicals. As consumers we can play a role here. Ask your retailers whether products they sell have been treated with neonics. Make a conscious effort to buy organic where you can. Or even better grow your own. This entry was posted in Nature and tagged aldi, bees, EU, Greenpeace, Ireland, neonicotinoids, retailers, seed companies, wild pollinators, Wildlife on February 12, 2016 by Murtagh's Meadow. 6: Try to do six random acts of kindness to complete strangers (I have stolen and adapted this idea from Cathy, the original blogger of this great idea. 0: Zero days complaining about the weather especially the rain – because there is nothing we can do about it, so will learn to have to adapt! This entry was posted in Life and tagged 16 for 2016, 2016, garden, Goals, lists, personal goals, Wildlife on February 10, 2016 by Murtagh's Meadow.